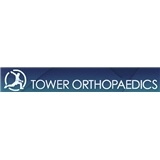 Tower Orthopaedics (Los Angeles) - Book Appointment Online! Tower Orthopaedics is a team of board certified, highly experienced and caring physicians and supporting staff who are committed to provide quality and comprehensive orthopaedic, neurosurgical and sport medicine to our community. We are compassionate about our work and believe that every patient needs to receive treatment which is based on his individual needs. Our doctors offer personalized consultations to fit each individual patients needs and offer a “tailor made” solution with the latest and most proven treatments available. All of our physicians are Board Certified by their specialty board and Fellowship trained in their respective individual sub-specialty interest. Our physicians provide patients with a comprehensive approach toward alleviating various orthopaedic conditions, including sport injuries in the shoulders, knees, elbows and ankles, neck and back. The doctors utilize non-surgical methods as a first measure when implementing patient treatment plans, as much as possible. When non-surgical procedures are exhausted, our surgeons use advanced surgical procedures that are minimally invasive allowing for speedy patient recovery rates. Our orthopaedic and neurosurgical specialists practice a holistic approach to patient care.